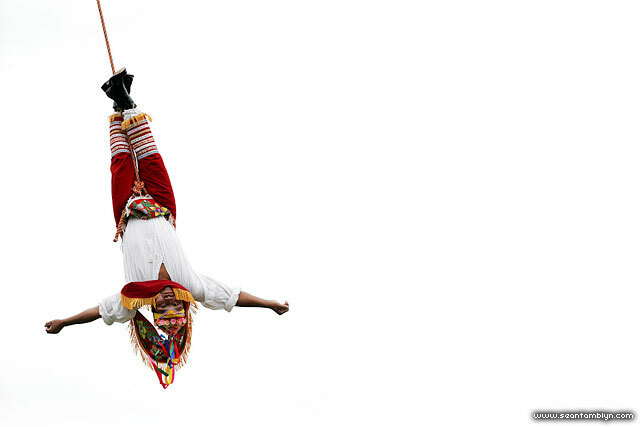 A ‘flying man’ flies through the air, descending from a 30m tall pole using nothing but jute rope, performing the Danza de los Voladores near Monte Alban, Mexico. This entry was posted on Tuesday, April 10th, 2012 at 11:06 am. It is filed under Areas, Performance & Events and tagged with Canon EF 70-200mm f/4 L, Canon EOS 20D. You can follow any responses to this entry through the RSS 2.0 feed.